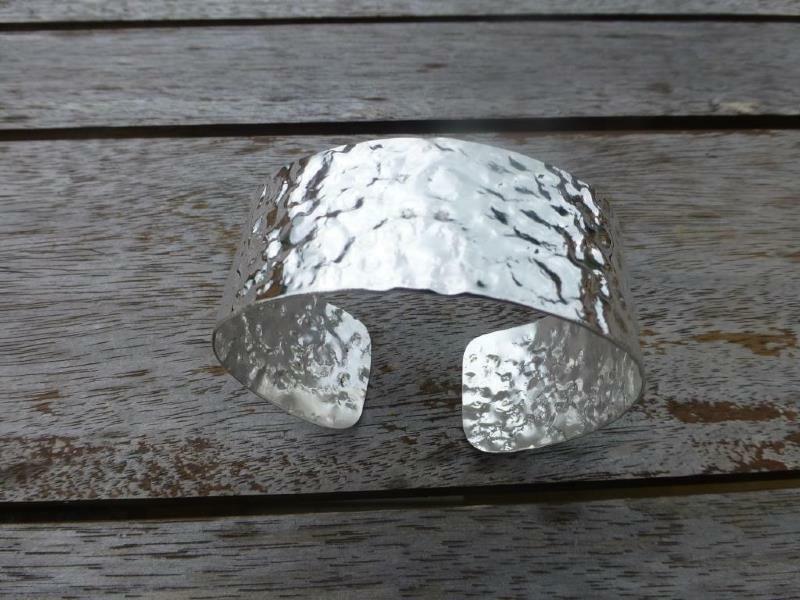 This unique cuff-style bangle is embossed both sides with an antique lace pattern and is approximately 2.5cms wide and 1mm thick. As slightly different lace is used for each bangle, no two are identical. It is hallmarked by the London Assay Office and includes my sponsors mark. The weight is approximately 33g. 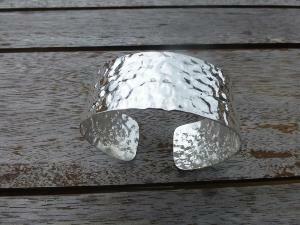 The bangle is usually supplied polished but can be oxidised on request to bring out the pattern.